Efficient operations and financial performance are the responsibilities of individual airlines and their shareholders, the civil aviation ministry said Thursday amid Jet Airways grappling with financial crisis. 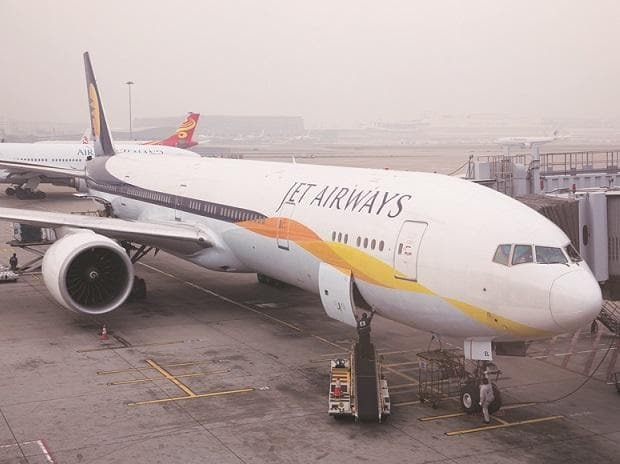 "As informed by Jet Airways, it is in the process of resolving its financial problems through negotiations with banks, financial institutions, lessors etc," Minister of State for Civil Aviation Jayant Sinha told the Lok Sabha in a written reply. The full-service carrier, which has completed 25 years of operations, is looking to restructure debt as well as raise funds. It is also making delayed salary payments to many of its staff. Sinha noted that each airline prepares its own business plan on the basis of its own market assessment and financial resources. "Based on its business plan, the efficient operations and financial performance is the responsibility of each individual airline and its shareholder," the minister said. In a separate written reply, Sinha said certain airlines have delayed payment of salaries to their higher salary category employees. "These airlines are in the process of resolving this through negotiations with banks, lessors etc," he added. Details about the airlines concerned were not disclosed.